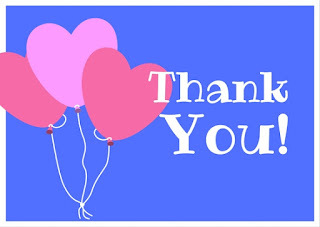 As 2016 draws to a close I just want to take a moment and give thanks to my readers and supporters. This little blog is a space where I share some of my tutoring work and other educational ideas, materials and thoughts that fall outside of my Montessori elementary work. 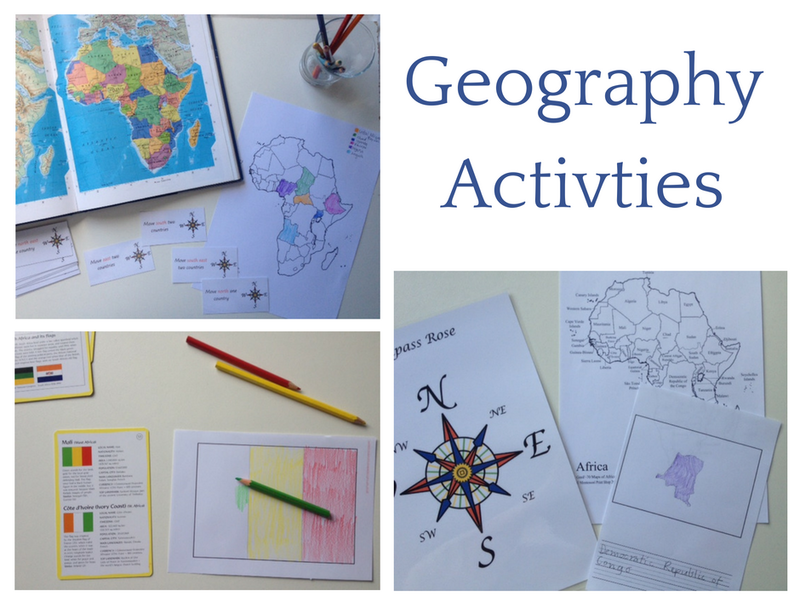 It all started last Christmas when I was commissioned to create some resources for an ex-Montessori colleague who teaches remotely. He uses Montessori principles and wanted some Montessori friendly resources that would be flexible for his multi-age classroom. You can see one of these commissions HERE. I love this work with synonyms - it is a great way to get students thinking about their word choices in both their writing and everyday conversation. 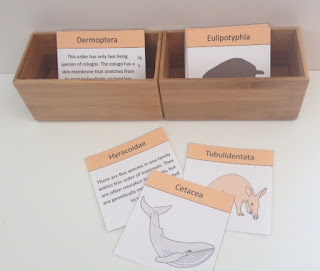 One of the home-school families I do some tutoring with have started looking at whales, so to continue and extend the theme into our tutoring time I made a mini pack of materials that I think could be useful to others as well. Here is my next offering in my LOTE (Languages Other Than English) series of three part cards. Three part cards for numbers 1 - 10 in three different languages: French, Italian and Japanese. For the rationale behind the pattern of dots read this post. Ok, I will start by acknowledging there are great deal of number cards out there to download. And the majority of them are great/cute/fun/etc. But there is something special about the Montessori style ones you see. Montessori mathematics is VERY clever and I could write oodles on the topic of just how clever the maths materials you see in Montessori classrooms are. Essentially though, everything has a direct purpose and an indirect purpose (laying the foundation for something else to come). Which brings me to the number cards. 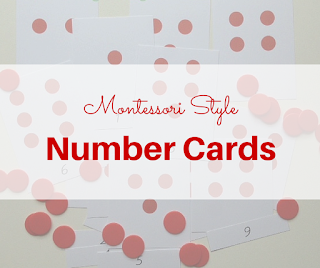 The Montessori number cards, and the way young children are taught to lay out the corresponding counters, are purposeful in the pattern they use. The direct purpose of the cards are for teaching the value of numbers, but the indirect purpose that the pattern prepares the child for is the more abstract concept of odd and even numbers. So whilst it is not explicitly taught at this stage, it is preparing them for concept for when the time comes and providing an opportunity for the child to make this discovery for herself. You may see this pattern in other numeracy materials I have developed. The file has a set of cards with the numeral and a set with the word. They can be used as three part cards or flash cards depending on your preference and environment. Want to know more about three part cards? Read this. 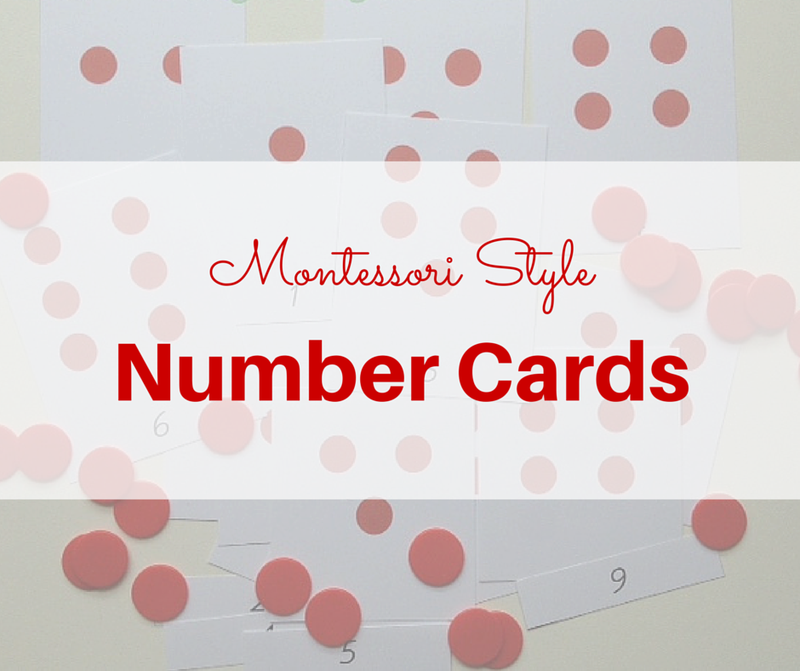 You can find a FREE set of number cards HERE and HERE. Did you catch my March newsletter? You can find a copy HERE. My own children are learning several languages, through school and through their own interests. My youngest is learning French at school so I have been making some resources to help him revise and extend himself at home. I have made some three part cards for the Japanese names of colours. For some idea's on how to extend the use of these check out this post. You can find the file for free HERE and HERE. Learning colours in Italian? These three part cards are great way to reinforce and revise the child's knowledge. Looking for idea's on how to extend the use of this resources? Take a look at this post. For my tutoring students this week I have made some Easter themed activities as little take home gift, which I thought I would share with everyone as well. This mini-pack has two Sudoku puzzles and a page of cutting strips. You can find the file HERE and HERE. Last year I made a cursive writing desk top template for some of my students. 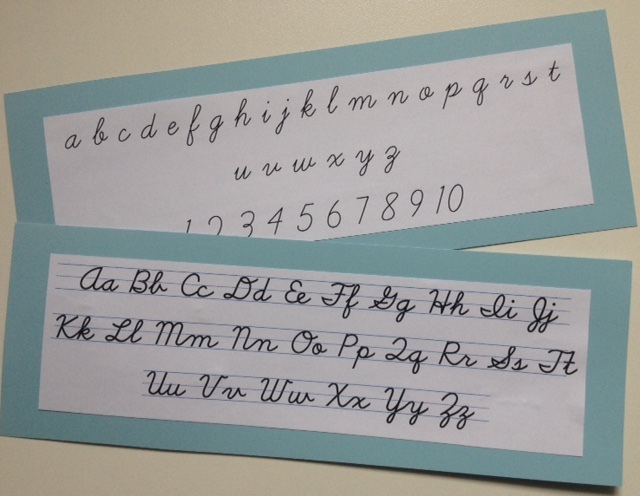 These are a really handy reference to have for students as they develop their penmanship. I made one side upper case letters with numerals and lower case with numerals on the reverse side. I have also included a template of upper and lower case letters together, and a set with dotted thirds also. These are available in two different fonts, D'Nealian and Learning Curve. New planning pages with a safari feel! I love classification work! It is so much fun, I think because language and etymology really come into play and it can be one way of engaging students with some lively discussion. This set of mammal cards serve as an introduction to the main orders within the class mammalia. There is a picture card and information/description card for the orders covered (18). 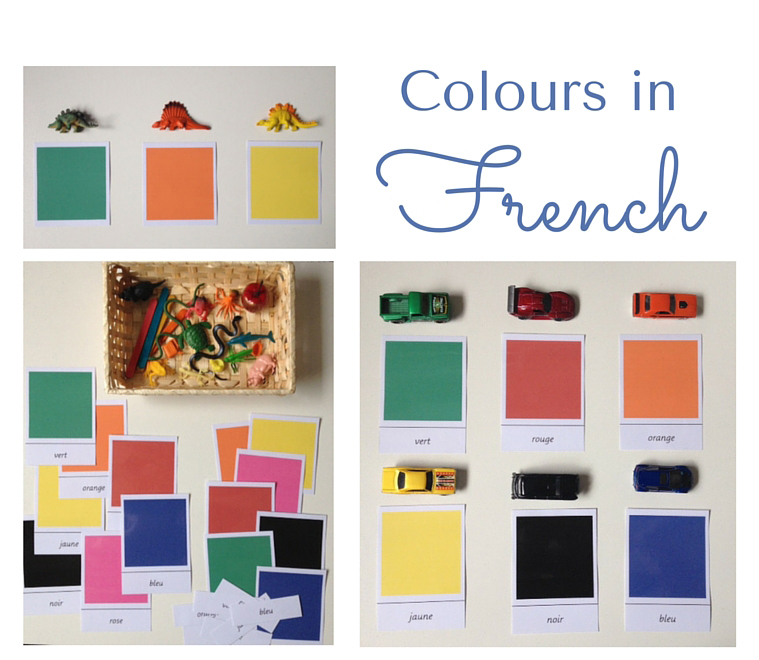 They have been colour coded as these are the first in a series of resources, as I hope to cover each of the classes. Did you catch my February newsletter? Would you like to see what you would be signing up for by subscribing? You can read a PDF version of my last newsletter HERE. 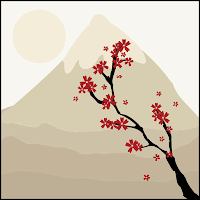 As I mentioned in my last post I have been playing around with some clip art I created. 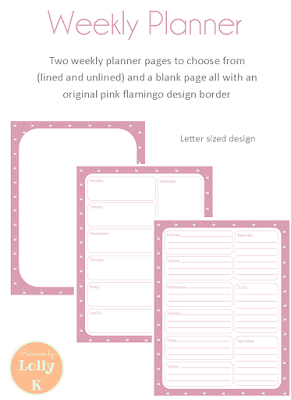 My latest set of planning pages is with an elephant theme. 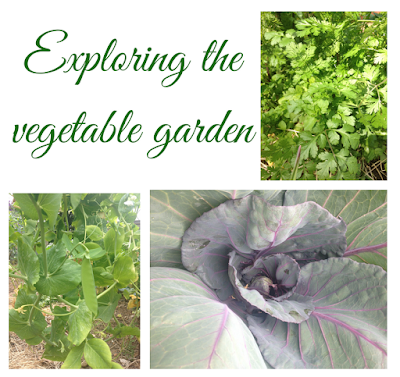 I have been having fun playing around with some clip art I created for a series of resources I have been working on. 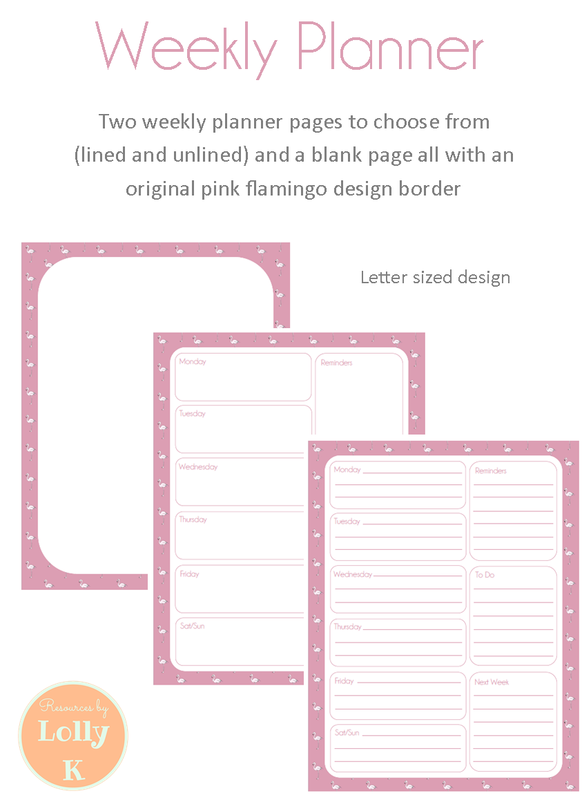 I created this pink flamingo design and thought I would use it for a weekly planner. My goal is create a series of planning pages with this and other deigns and I would love some feedback! I am offering this first file for FREE for a LIMITED TIME. 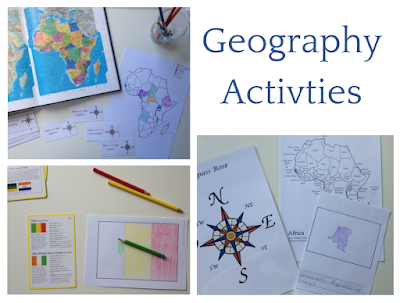 My favourite learning area outside of Language would have to be Geography. So I was really excited when I was approached by a former colleague who is now a home-school mama to put some resources together for her. This pack provides the foundation for understanding how the Earth's movement around the Sun effects changes in the seasons. The task/activity cards are designed to appeal to different ways of learning (multiple intelligences) and encourage students to enrich their understanding. One Montessori activity I love is the Detective Adjective Game. You can find an outline of this at HERE, but essentially children learn to discern the different types of triangles through a guessing game using adjectives as clues. Last year I made a different version of this game for a tutoring student with learning difficulties. 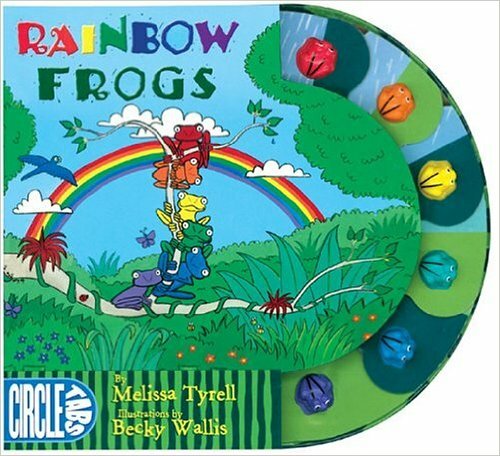 I got the idea after we had a session discussing their favourite book Rainbow Frogs. 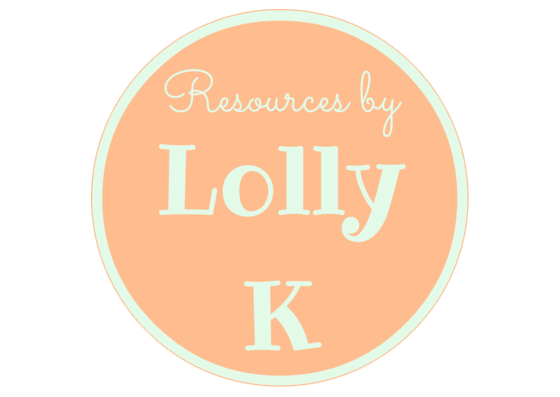 A place and space for educational resources and ideas that fall (a little) outside of my love of Montessori. 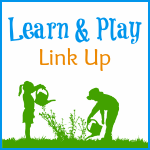 Many will be Montessori inspired, most will be designed for hands-on learning activities.